Bustling marketplaces, screaming ambulances and an array of modern people surrounded by ancient ruins. The clash of the past and present is prevalent on every twisted street corner. This metropolis is surrounded by priceless artifacts and famous frescos. Few places can balance the living memory of what was and the chaos of what is like the Eternal City, Rome. Many locals will attest that you cannot possibly see everything in the city in a matter of months, let alone days. So is it worth even trying? No matter what time you have in Rome, whether a layover or a few weeks to enjoy, you will be amazed with the love affair you will have with this city. The usual suspects to name a few are the coliseum, pantheon and Vatican City. These attractions are not the cliché places to visit in Rome but a must-see for a reason. Whether you are a history buff or just love to bask in what is beautiful, visit these sites. Rome has a metro system, hop on/off buses and regular transit. However, for those who have at least a few days and a sense of adventure should just walk. Free and fresh water is provided from one of the many fountains in the city. It is best to start off your day at the coliseum, to avoid the incredible crowds and get your perfect pictures of this piece of history. When approaching the busy intersection surrounding the coliseum, be wary of the scam artists convincing you to pay a fee to get a personal tour. The coliseum has an entrance fee is 15.50 Euro for non-European citizens. It includes the ruins beside the coliseum which have Augustus’ house and priceless outdoor artifacts. Across Rome, The pantheon is free and during the summer it is a great place to cool off and enjoy this immense structure and its purposes over the centuries. 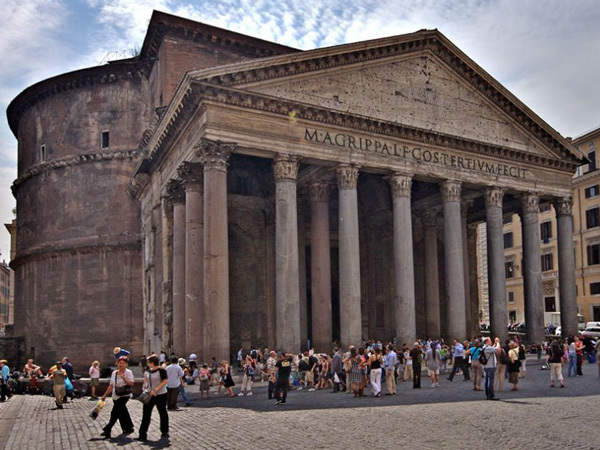 Once a pagan ritual site, Christianity converted the Pantheon into a Christian monument. This is also the final resting place of Raffaello Sanzio da Urbino. The Vatican itself is free of charge, though the Sistine Chapel, about a two kilometer walk from the Vatican, has a 12 Euro fee which includes the Vatican museum. To see the treasures of the Vatican is an experience to say the least. 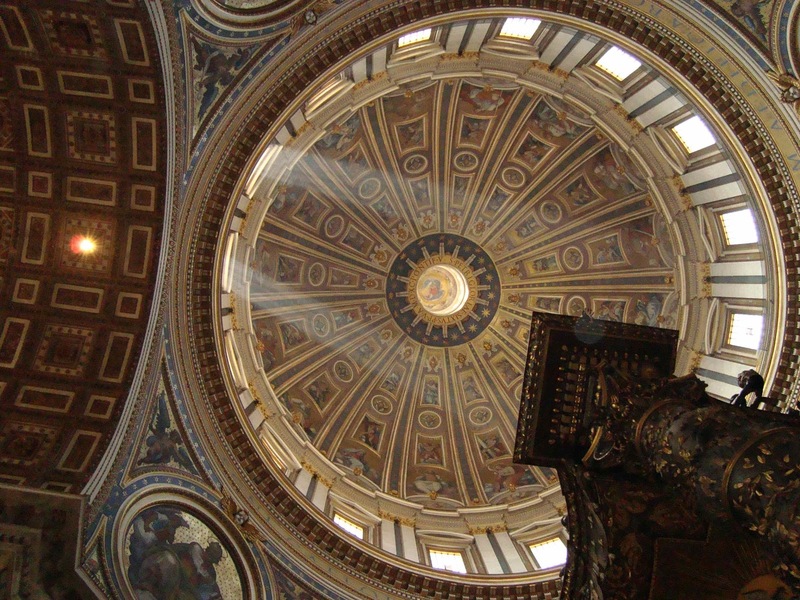 Remember to set aside a full day for Vatican exploration and bring your walking shoes! Avoid the endless multi lingual scam artists to tell you that it is “closed” or that they will take you on a personal tour. The pope does have a weekly papal speech on Wednesdays and the Vatican is closed during that time, though you can see the pope in person and listen to his sermon. You can pre order these free tickets or go to the Vatican early to reserve your seat. On our recent trip to Rome, my family and I stayed in a quiet cozy hotel about a half of a kilometer from Termini (Rome's central train station), Hotel Giuliana (left). 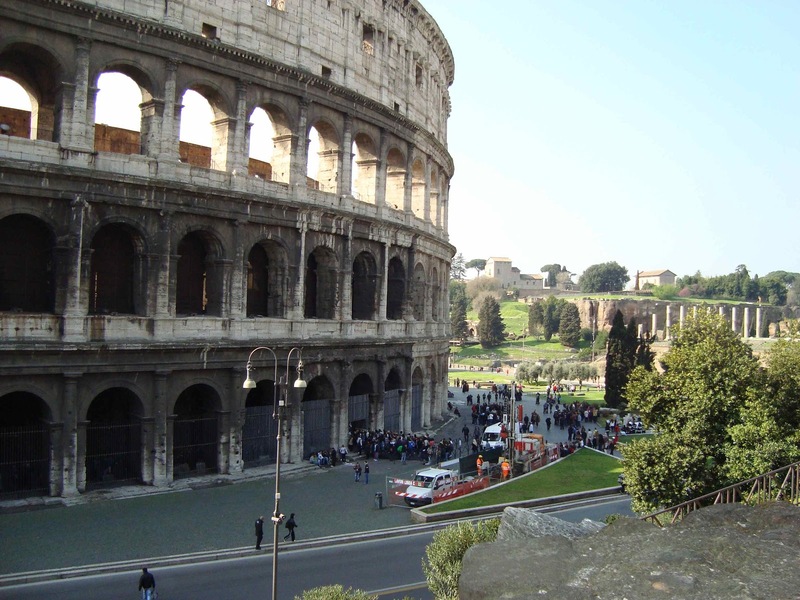 Located in an excellent part of Rome, this hotel is approximately two kilometers from the coliseum and right above a daily market place. 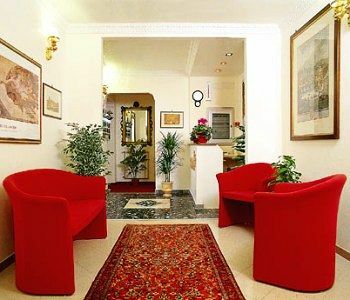 Hotel Giuliana is centered among local restaurants tourists and beautiful fashion boutiques. The hotel itself is run by the Santa Croce family and they go out of their way to make their hotel a home away from home. If you like the bed and breakfast feel and want to walk away with genuine friends from Rome then this is the place. During my stay, the Santa Croce's shared with us a tiny but beautiful restaurant which has been frequented by Sophia Loren: Trattoria Antica Boheme (Via Napoli 4 00184). Since it is not frequented by tourists, it’s a great time to brush up on your basic Italian. If you decide to go during high season it is best to make a reservation. The décor is basic, with photos of celebrities of have ate at the restaurant over the years. The menu, however, is not to disappoint. Trattoria Antica Boheme keeps an authentic Italian menu. Despite the delicious food, the price is excellent. A liter of house white wine was 6 Euros. If you like seafood, the spaghetti and clams are delicious. Since it was my first night in Rome we stuck with one of the staples, gnocchi. Presentation was good and the food was delicious. 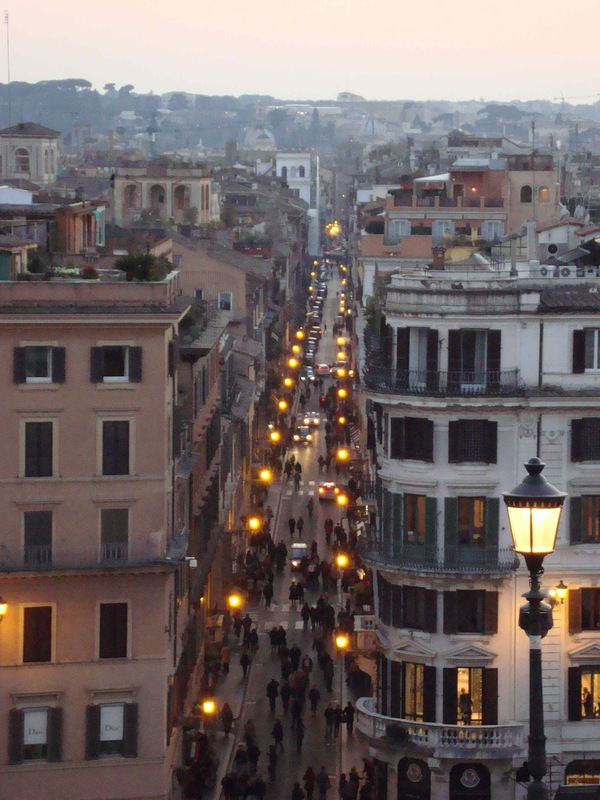 For a first time visitor, the Eternal City will be very romantic. If it is possible for you, visit the Spanish Steps and the Trevi fountain twice, once during the day and once at night. 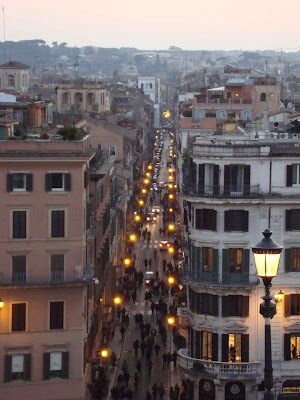 The view from the top of the Spanish steps is incredible and is a different ambience from day to night. 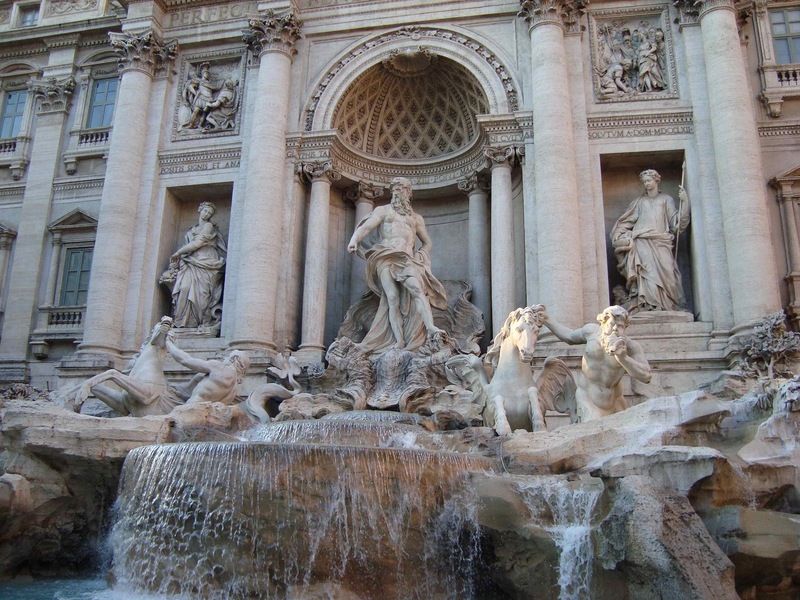 The Trevi fountain is a Bernini lover’s delight, though you will have no shortage of Bernini in Rome. To explain the mysteries of Rome would be an encyclopedia of knowledge to share in endless articles analyzing each and every captured beauty of the Eternal City. Though millions of tourists visit the city every year, their memories and photographs can be completely different from one another, but have one common theme, Rome is a trip of a lifetime. The Eternal City is lives up to its name. The past and present merge into a beautiful tapestry of old and new, chaotic and quiet with a side of romance and adventure. Whether it is six days or six months in Rome, bask in it, there is always something new to discover.